I wanted to share with you my newly discovered and love of book creating. 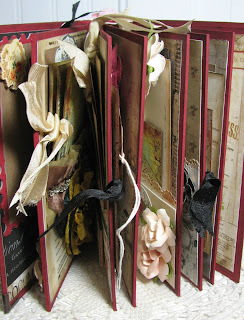 I have seen books of all kinds, themes and sizes on You Tube and on the internet, as well as Pinterest. If you have an interest in creating a photo journal, or a book of your own but have been afraid to take that leap, I am telling you to dive head first with no fear, because it's just plain fun. The book I am sharing with you today is the one pictured above. I took a book class from a local artist and this is the first book we created. All the supplies for making your own book can be found in craft stores or on the internet, so everything is pretty easy to find. Until this class, I really had no idea that you could purchase ready to go books like this one. It's all there waiting for you to put in your own style. Because we were in a class and following instructions, we all created the same book. This book started with a double coat of craft paint in red. I don't remember the exact color or maker of the paint, but it doesn't matter. You could decide to paint or not to paint. Depending on the papers you choose, if you didn't want to paint, you could stain the edges with a Distress Stain, to give a worn appearance. We only painted around the edges because we are covering the book pages with scrap booking paper. You will do this with all the pages of your book. It's up to you if you want any border around the paper, or want to have some color show. I would recommend leaving a border, it just seems to add more interest and gives you a bit of room if you make a sizing mistake with your paper. No one will ever know. LOL. As for the glue, that is a personal choice, some crafters like a wet glue, some like a heavy two sided tape. That choice is yours to make and you will find your way as you create more and more projects. 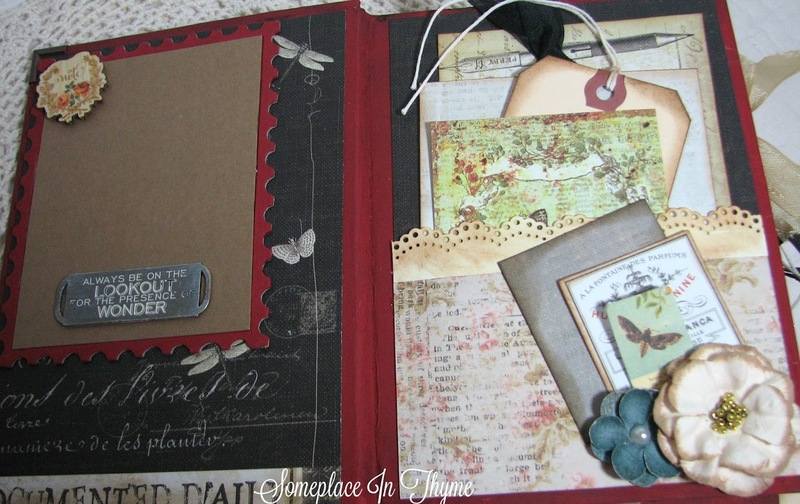 Once all your pages have been covered with your craft paper, you can begin to decorate your pages. Did I mention the word FUN? Maybe I should also mention the word ADDITION because this craft is hard to stop once you have started. A whole new world of possibilities opens up. On the page on the left in the above photo, I am showing you what is called a "pocket." It's a piece of paper which can be any size that is glued on around three sides so you can insert tags, photos or memorabilia. This example happens have the pocket opening up on the side, instead of up and down. The page with the word "Bird" on it is a great place to put a photo. I usually leave pages for photos and then pages for lots of tags. I happen to be a pocket person and try to have fun creating different pockets using lace, or making envelopes with pockets that close. You can just create a larger pocket with a flap on the top, tie with string or ribbon and there you have it. We placed some lace on the spine and then added an eye hook and some chain to hang some charms on. If you like this idea, it's easy peasy. You just add chain, get some round eye loops and add as many charms as you like. 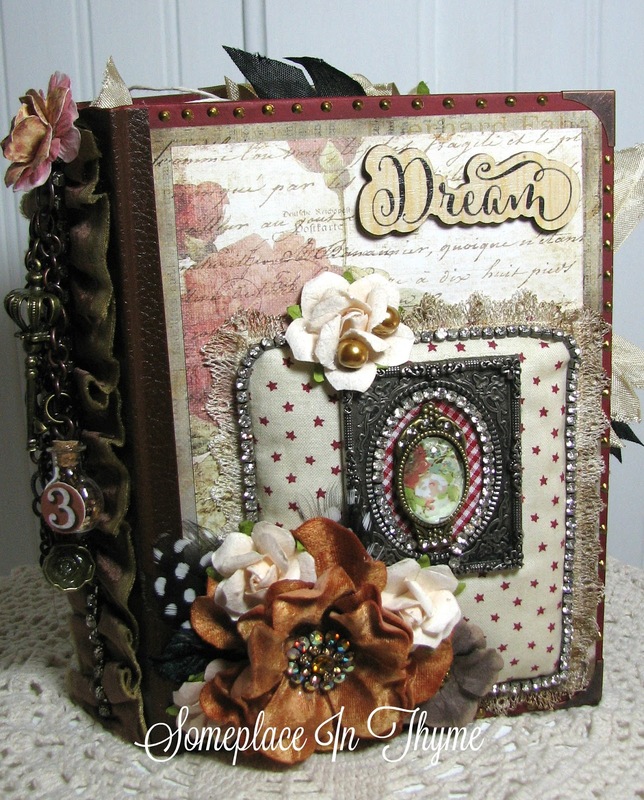 On the front of this book, I decorated with a beautiful paper, made a frame from some soft batting and fabric, added some embellishments and glued it all on where I wanted it. You can use any good glue or hot glue you want. 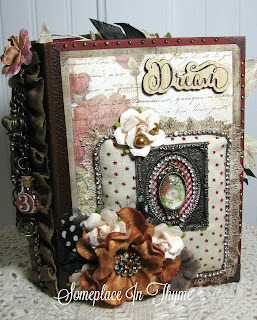 This book is getting full with all my pockets and embellishments. 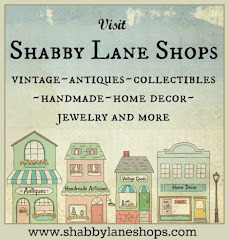 Check out your craft stores, the internet and Amazon for gorgeous embellishments. More examples of my pockets and tags. 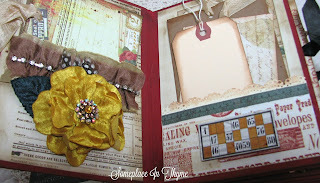 In the photo above, you can see how I glued down only part of the flowers so I could put a couple of tags behind. I hope this was helpful to you in showing you that you can also have fun with paper crafting. Please let me know if you have any questions. I would love to help you, and don't be afraid to check out You Tube, there are a lot of great tutorials out there that share step by step instructions. A couple I can think of off hand are My Sisters Scrapper and Shellie Geigle. Good luck and Happy Creating. Keep going Debra Newton, don't give up, if this is your first try, it just keeps getting better and better. I bet your book will be beautiful.